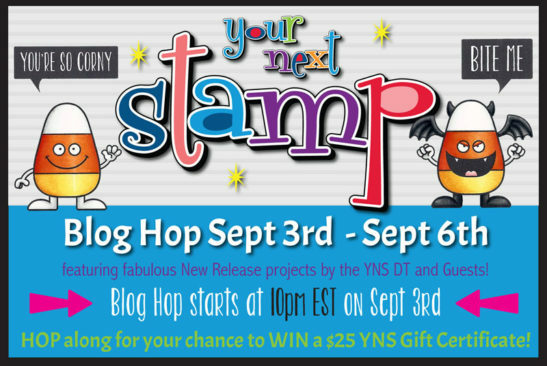 Hollybeary Creations : YNS September Sneaks!! Who's ready for the September Release from Your Next Stamp? Today starts our Sneaks and be sure to join us tomorrow for a New Release Blog Hop starting at 10pm EST. 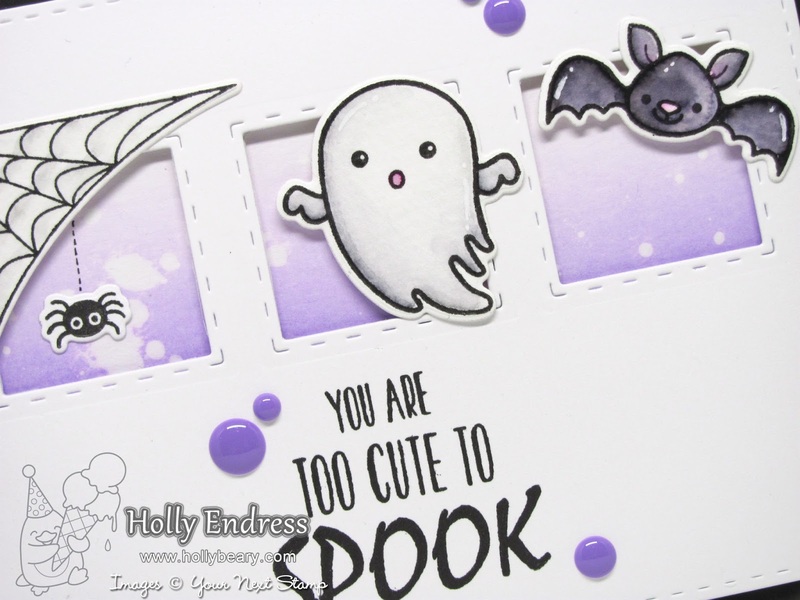 I'm showcasing the fun new set Fab-Boo-lous Halloween and the coordinating dies. I started by die cutting the front of a White panel with the Stitched Rectange and Peek a Boo trio die sets. Then I cut another panel to fit behind and added some Wild Violet Distress ink and adhered the panel so color was peeking through the windows. Then I stamped the sentiment onto the lower center area with some Black ink. I added the panel to the front of a Black card base. Then I stamped the images onto some watercolor paper and colored them in with the Zig Clean Color Real Brush markers. Once they were dry I used the coordinating dies to cut them out. I adhered each image into a window with some foam adhesive. For an extra pop of color I added some Spellbound Gumdrops. Head over to the YNS Blog for a link to the other Design Team members for a peek at some more great projects. Be sure to join us tomorrow for the Blog Hop and New Release Kick off! Oh Holly. My DIL's birthday is Oct. 30th and this would be perfect for her. ♥ it! What a sweet Halloween card. Love the layout and colors. Beautiful and very sweet card! 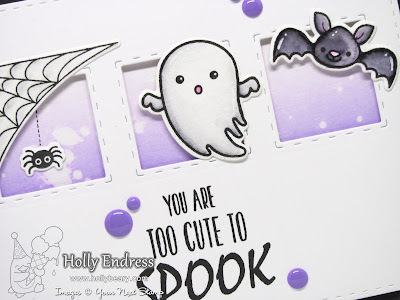 Love your spooky card. Can't wait to try the ghost. The card is so cute and I LOVE the sentiment!